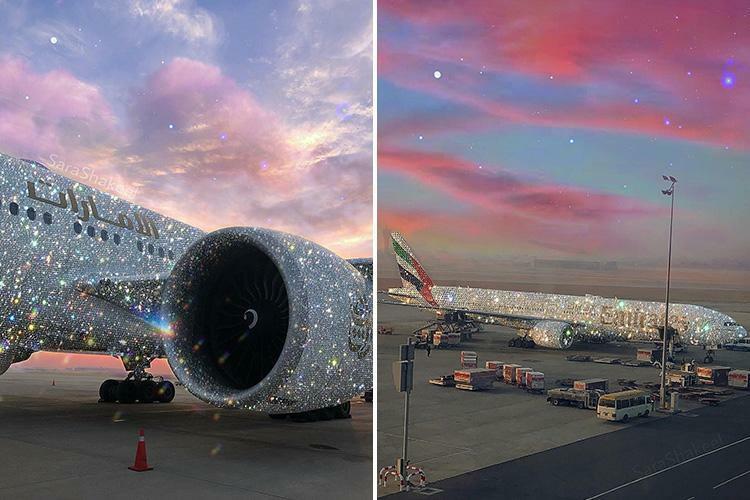 The luxury airline tweeted a doctored photo of one of their jetliners with the exterior decked out in diamonds. 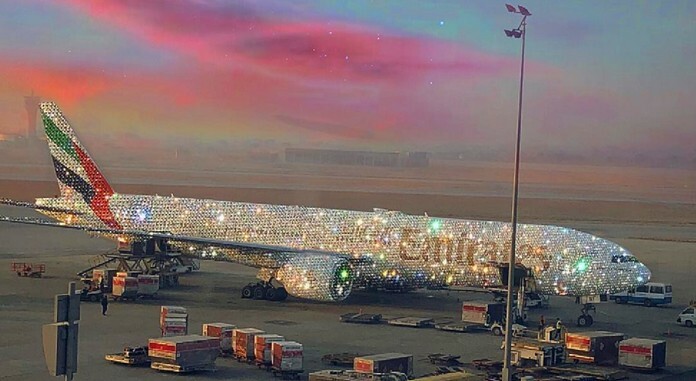 “Presenting the Emirates ‘Bling’ 777”. “Image created by Sara Shakeel.” The photo was created by Shakeel, who is famous for recreating photos of famous landmarks or pop culture icons in crystals.